Motion 7 passed at the FSC General Assembly meeting in Vancouver on Oct. 13, indicating that the organization will pursue a change to its rules allowing companies that have converted forests to plantations since 1994 to go for certification. Current rules do not allow FSC certification for any companies that have cleared forested land since 1994. Proponents of a rule change say it would allow more companies to be held to FSC standards and could result in the restoration or conservation of ‘millions of hectares’ in compensation for recent deforestation. Opponents argue that FSC is bending to industry demands and that a rule change will increase the pressure for land conversion on communities and biodiversity. The certification organization Forest Stewardship Council (FSC) took a step toward allowing timber companies that have cut down forests since 1994 to apply for the organization’s stamp of approval. Since its inception 23 years ago, the FSC has refused to certify any company that has deforested areas in order to convert them to timber plantations. While the passage of Motion 7 at the General Assembly meeting in Vancouver, British Columbia, on Oct. 13 does not change this, its approval by the organization’s membership – comprising private companies, individuals and conservation NGOs – indicates that the council’s requirements could change. Proponents argue that the measure would increase access to certification in developing economies. But some question how effective certification actually is and say that changing the cutoff date could increase the destruction of forests. 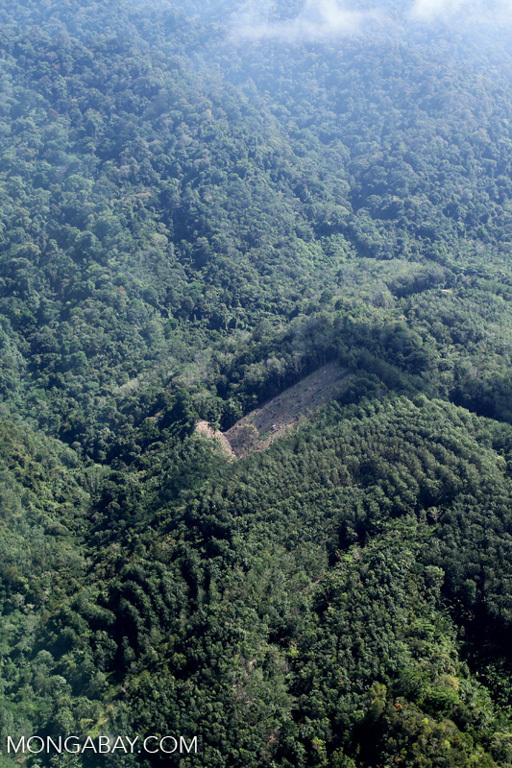 A timber plantation in Malaysia. 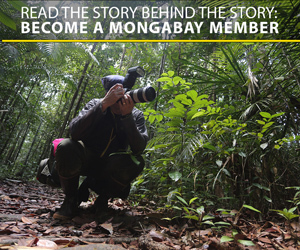 Photo by Rhett A. Butler / Mongabay. Bayunanda proposed the motion, which allows discussions about changing this regulation to continue. In his view, a rule change would allow the participation of companies from developing countries, whose economies were just getting going around the time the FSC was created. Allowing these companies to earn certification would require them to adhere to the FSC’s standards regarding biodiversity conservation and the protection of human rights, Bayunanda said, and he cautioned that just because certification would be possible doesn’t mean it would be easy. “Now they have to be a leader in restoration and conservation,” Bayunanda added. 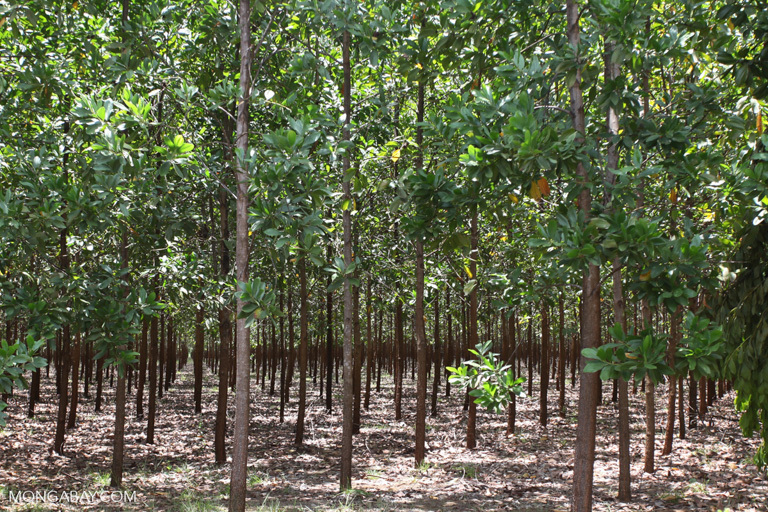 An acacia timber plantation in Colombia. Photo by Rhett A. Butler / Mongabay. Rainforest Action Network’s Bill Barclay said that any change “requires a very high-bar set of compensation standards, indicators and procedures if the 1994 rule is ever to be replaced and approved by all chambers of the FSC General Assembly.” That would mean a comprehensive assessment of how the forest clearing hurt not just the environment but also communities, Barclay added. Rainforest Action Network is an FSC member. A new rule with those kinds of stringent requirements could result in the “[restoration] and conservation of millions of hectares of forest and social restitution for communities,” said Grant Rosoman, a global forests solutions senior advisor with Greenpeace, in an email. Greenpeace is also a member of FSC. But others involved in rainforest conservation see moving the cutoff date up to the present as capitulating to the desires of the timber industry and plantation companies. “It ought to be the final nail in the coffin of FSC’s credibility,” Counsell added in an email. Chris Lang of the website REDD-Monitor expressed concerns about what a rule change might mean for people directly affected by forest conversion. “The advantages to the pulp and paper industry are clear, but it’s extremely difficult to imagine how this decision helps indigenous peoples and local communities who are struggling against the spread of monoculture tree plantations on their lands,” Lang said. Proponents of Motion 7 say that its passage would see the restoration or conservation of millions of hectares of forest that had been lost to timber plantations. Photo by Rhett A. Butler / Mongabay. But Greenpeace’s Rosoman said that the support for Motion 7 came largely not from plantation companies, but from “other stakeholders.” He said that some companies may be against a change to the 1994 rule because it serves as “a trade protection measure,” keeping competitors from receiving the certification. Still, Lang said that FSC’s goal seems to be increasing the percentage of timber companies that are certified, not the sustainability of the industry. “That highlights a key question about FSC certification: whether FSC-certified operations are in fact sustainable,” said Cyril Kormos, vice president of policy at WILD Foundation, in an email. “There is very strong evidence that even certified logging operations are not sustainable – and that making them truly sustainable would require massive subsidies. 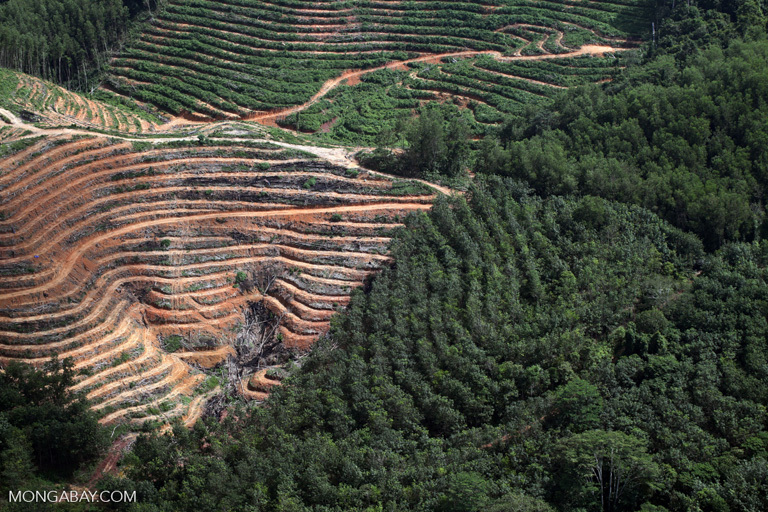 Banner image of an industrial timber plantation in Indonesia by Rhett A. Butler / Mongabay. Editor’s note: A previous version of this article contained an incorrect hyperlink. The text ‘Motion 7’ is now linked to the correct page on the FSC General Assembly website. We regret the error.